On November 19, 1863, after a two hour oration by featured speaker Edward Everett at the dedication of the Soldiers’ National Cemetery in Gettysburg, Abraham Lincoln rose to deliver a few remarks. Lincoln spoke for less than three minutes. Nearly 155 years later, his 272 words still resonate as the most famous and important ever delivered by a President. 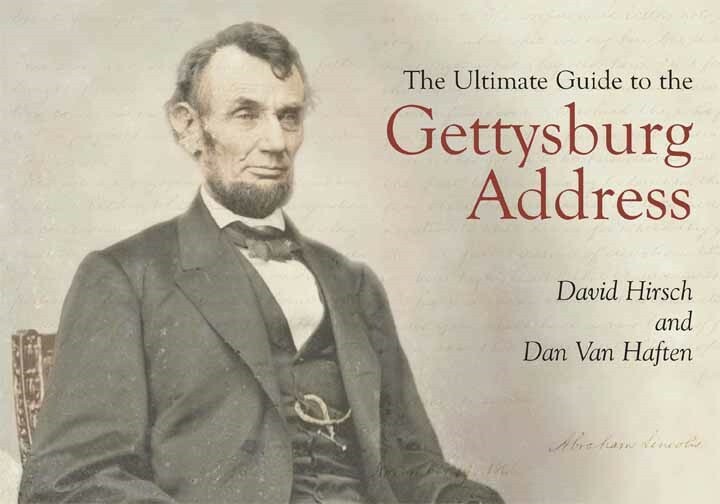 In The Ultimate Guide to the Gettysburg Address, co-authors David Hirsch and Dan Van Haften offer a unique perspective on Lincoln’s speech. Rather than relate the story behind the speech, Hirsch and Van Haften analyze it from Lincoln’s perspective. To help become a better speaker, Lincoln turned to Euclid’s Elements of Geometry. Euclid used the six elements of a proposition to prove theorems. Lincoln adopted this premise and such an approach was not uncommon. Thomas Jefferson used the proposition elements when constructing and writing the Declaration of Independence. Hirsch and Van Haften break down the speech line by line to demonstrate how it reflects Lincoln’s study of the proposition. They point out other examples of how Lincoln incorporated the proposition, its use as an effective communication tool and how politicians and public figures use it today. The Ultimate Guide to the Gettysburg Address is a fascinating and engaging read. Hirsch and Van Heften present their ideas in a simplistic and easy to understand manner. They give readers a narrative that appeals to a far ranging audience. It will be enjoyed by students of Abraham Lincoln, Gettysburg and those who are interested in improving their speaking and writing skills. It is highly recommended. This entry was posted in Book Review, Books & Authors and tagged Abraham Lincoln, Gettysburg Address. Bookmark the permalink.